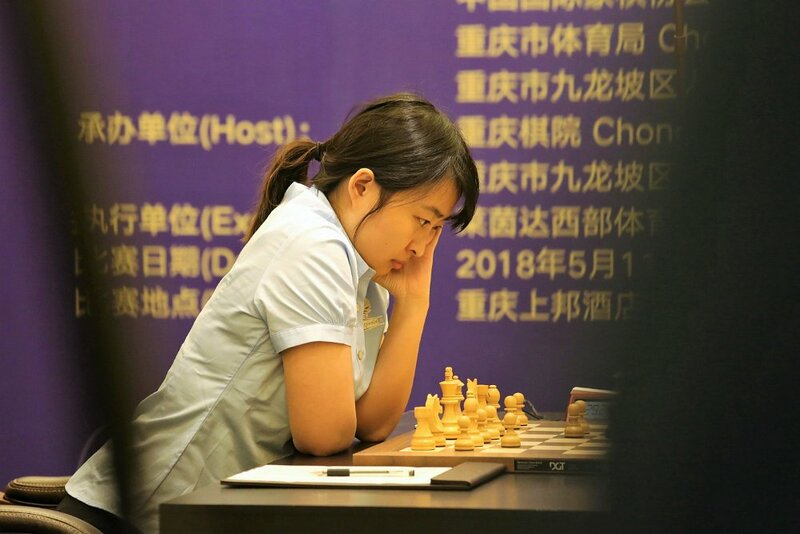 Tan Zhongyi beat Ju Wenjun in 6 hours and 125 moves in Game 6 of the Women’s World Championship match and now trails by only a point with four games to go. That means only the first game of the match has been drawn, with the players alternating wins since Game 3. 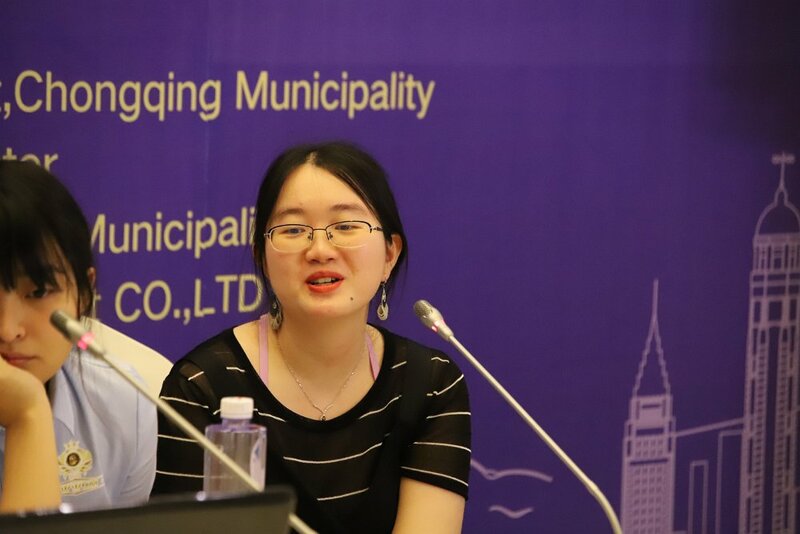 The latest encounter saw Tan Zhongyi willing to sac a pawn in the middlegame, but Ju Wenjun turned down the offer, lost the initiative and blundered away a pawn in time trouble. The conversion wasn’t easy, but Tan Zhongyi eventually made it just before the 50-move rule could save Ju Wenjun. After Game 5 the action shifted from Ju Wenjun’s home city of Shanghai to Tan Zhongyi’s Chongqing. 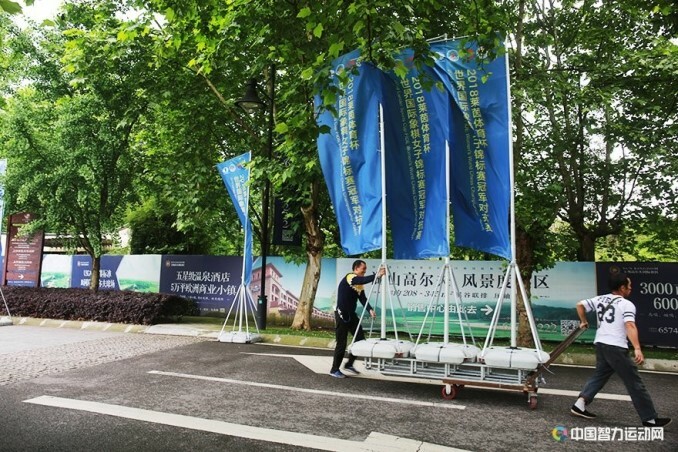 You can make that 1500+ km trip west on a leisurely 9-day cruise along the Yangtze River, but the players no doubt flew, since they had just one extra rest day before the start of the second half of the match. Game 6 saw Ju Wenjun open with the Catalan as she had in Game 3, an encounter which had seen Tan Zhongyi collapse with a second loss in a row after playing the terrible 14…g5?? This time round she came prepared, though, varying with 4…Bb4 instead of 4…dxc4 and reaching a perfectly playable middlegame. The mystery of the game, though, came when she played 18…Bd7!? 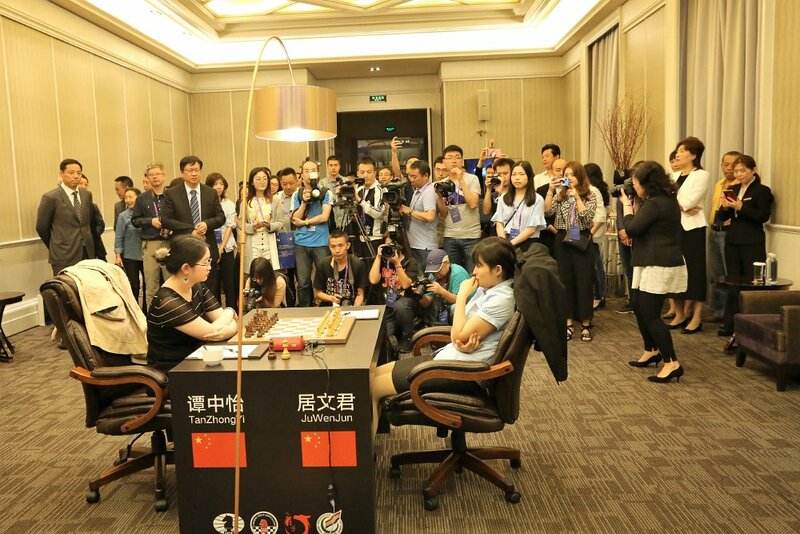 Gu Xiaobing for the official site records that Ju Wenjun said she “didn’t see” the option of 19.Qxb7, simply taking a pawn here. That sounds unlikely, but would explain why the women’s no. 2 took a mere 3 minutes and 23 seconds to play 19.Qc3!? instead. Tan Zhongyi had seen the pawn grab but felt she would have compensation and wanted a fight. That actually looks a fair assessment, since for instance after 19…Rae8 20.Qxa7!? (20.Qb4! is the computer’s move) 20…Nc4! it’s already White who has to play precisely to avoid trouble. The threat of a rook coming to e2 isn’t what you want with a minute left on your clock, and Ju failed to coolly calculate that after 40.f4! Qd6 she had 41.Rc1! and 41…Re2 could simply be met by 42.Rc2. Instead she played 40.Bf1? with just 8 seconds remaining on her clock, leaving her in a heavy-piece ending a pawn down after 40…Qxf3 41.Bxa6 Rxa6. 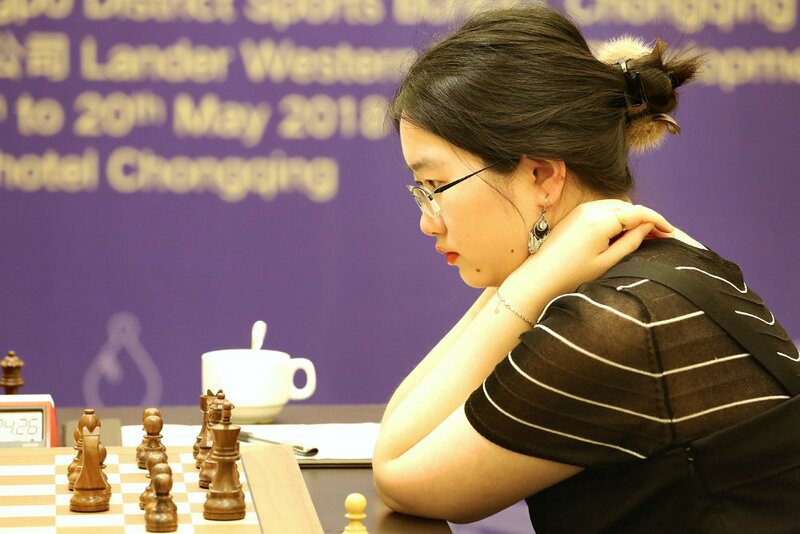 Ju Wenjun now had no choice but to exchange queens into a lost pawn ending, but she tried one final resource – calling the arbiter over to claim a draw by the 50-move rule! That’s the rule that allows you to claim a draw if neither player has pushed a pawn or captured a piece in 50 moves. Since move 78 only 47 moves had passed, though, so there was nothing left to do but resign. Tan Zhongyi is therefore right back in the match, but she needs to end the sequence of alternating wins soon! Game 7 is on Sunday, 13 May and you can follow the action here on chess24 from 09:30 CEST.